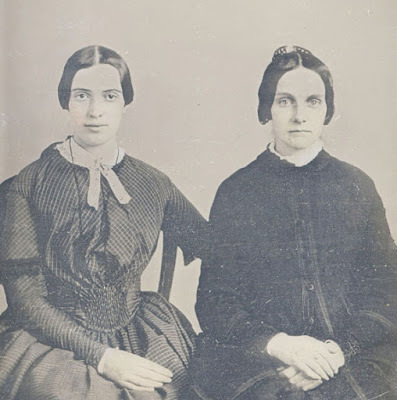 Emiline F. Cross attended Mount Holyoke Seminary in South Hadley, Massachusetts, thirty miles from her home, graduating from the elite women's academy in 1854 when she was about twenty. 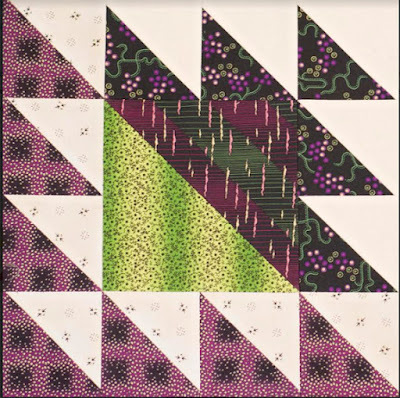 She must have been well-liked as classmates made her a gift of an album quilt. 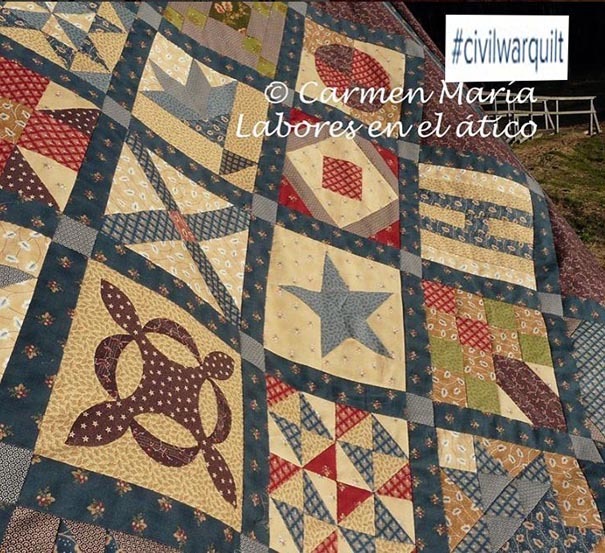 Emiline's quilt from Massachusetts Quilts: Our Common Wealth. 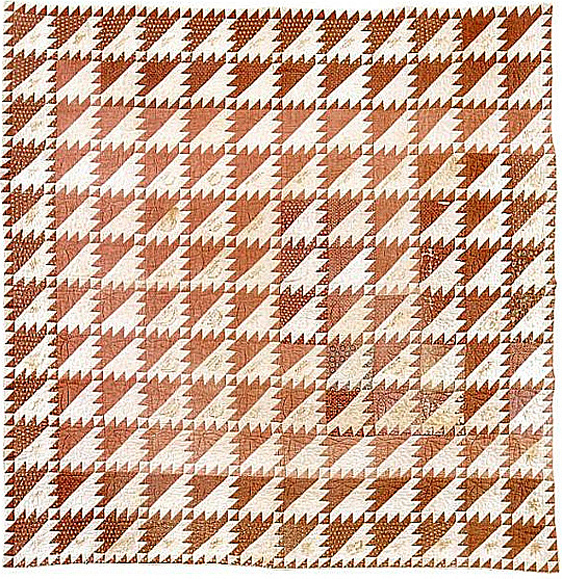 The pattern was also popular. We'd call it Lady of the Lake or Lost Ship. 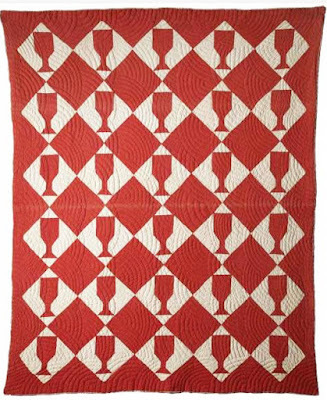 The name Lend & Borrow refers to the way the red and white shapes shift from positive to negative spaces when it's set like this. 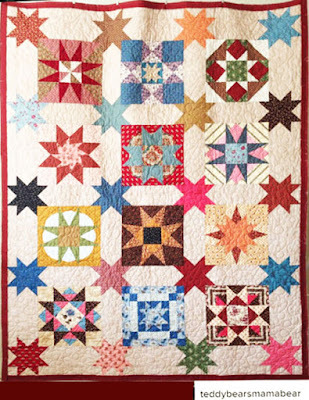 Just like last month's block, it's not what we'd think of when we decide to piece a friendship quilt. 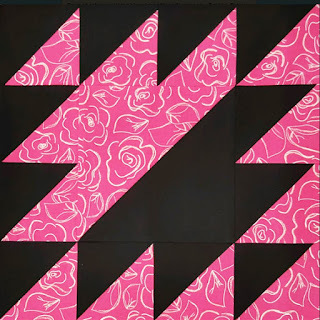 But Emiline's generation, the first to adapt albums to patchwork, thought the block with two different triangles quite the thing for single pattern or sampler quilts. 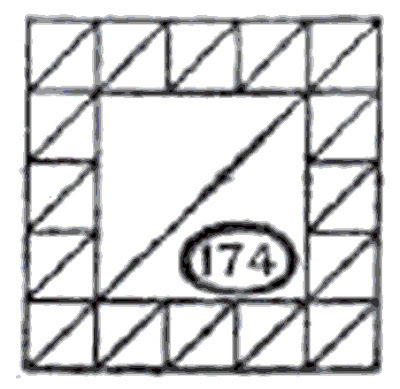 the earliest surviving examples of friendship style blocks. Over 300 pupils and teachers lived in the five-story building. Like founder Mary Lyon, Mt. 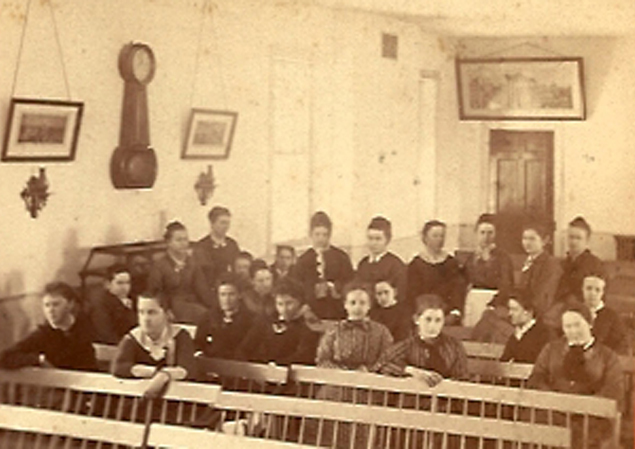 Holyoke Seminary became a pillar of New England's cultural temple so Southern girls were unlikely to enroll. 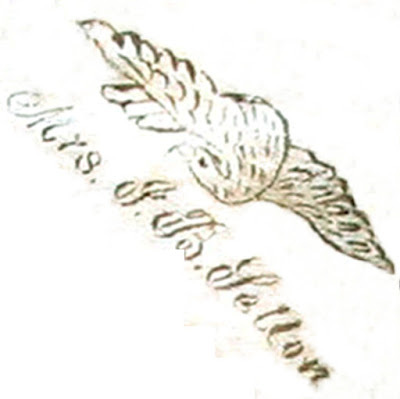 her fellow pupils were from the green Union states here. Sarah Jane's interest in Mt. 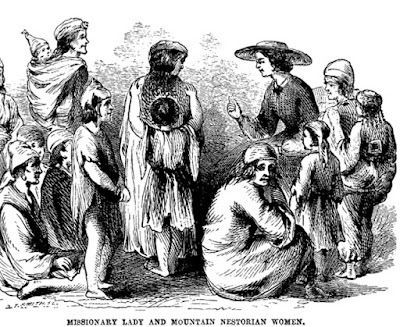 Holyoke might have been due to dreams of becoming a missionary. 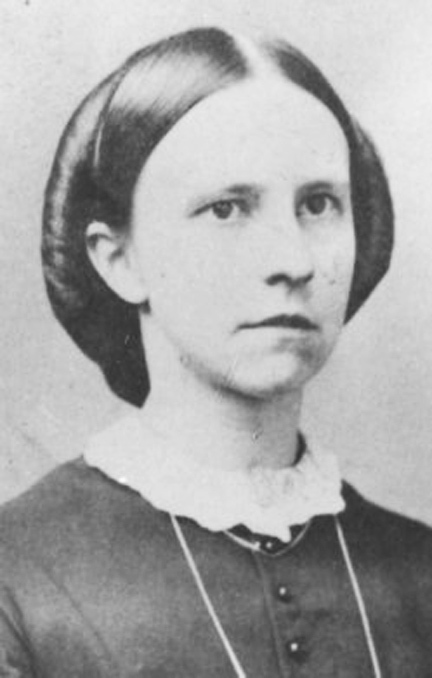 Alumni records indicate she married a widowed missionary in 1860, taught in Oroomiah, Persia and returned to Tennessee in 1869 after his death. Why did New Jersey's St. Mary's Seminary attract Virginians like Indiana Fletcher while Mt. 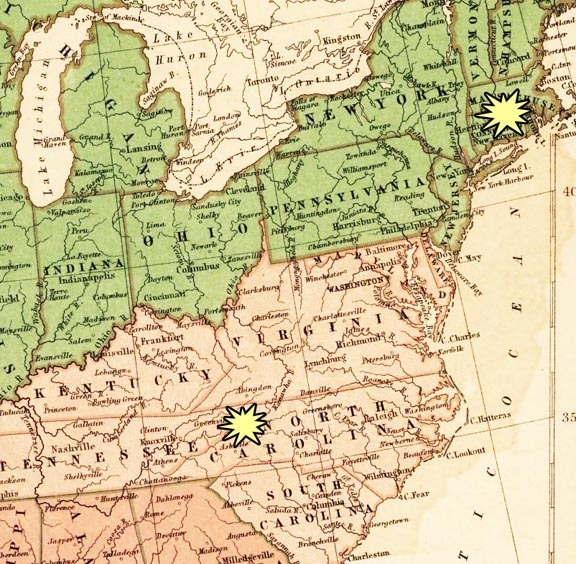 Holyoke enrolled more girls from the South Pacific than the southern states? It was probably both curriculum and culture. Mt. Holyoke's classes were more academic than schools aiming to turn out cultured wives: Latin and logic, history, philosophy, algebra, music, science and calisthenics followed by examinations described as "severe" by Emily Dickinson. A Mount Holyoke graduate might become a teacher, spreading Miss Lyons's ideals to the next generation. Mt. Holyoke's values were embedded in New England's culture of independence, self reliance, reform and improvement. Rather than being waited upon, students shared housekeeping chores. Mary Lyon not only hoped to create devout Christians of her pupils, she also encouraged them to "Attempt great things, accomplish great things." 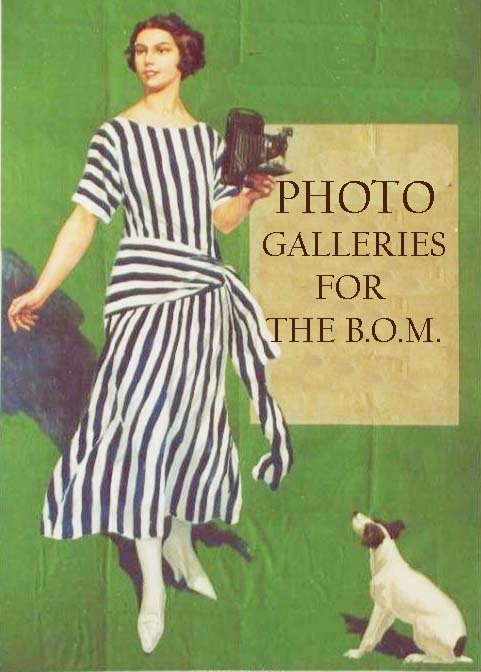 Southern parents would not be pleased to find their daughters returned as unmarriageable blue stockings and reformers. 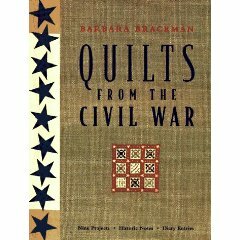 Olympia Brown was in Emiline's class. attended theological school, ordained as a minister in 1863. 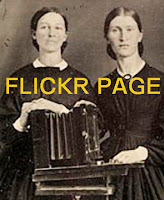 Emily Dickinson and Kate Turner. 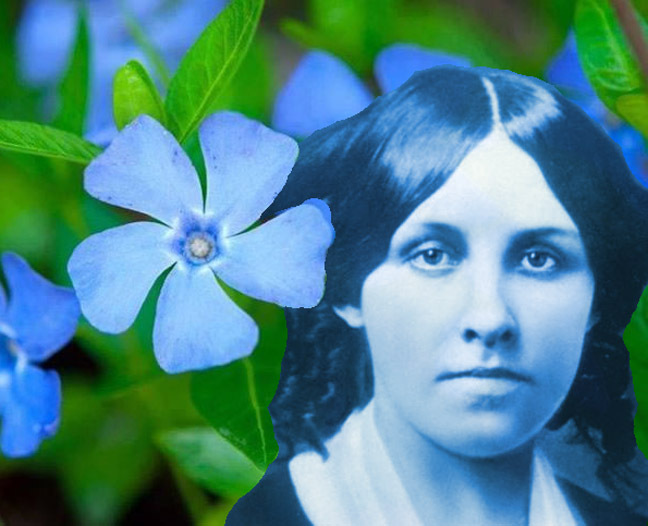 Emily Dickinson attended Mt. 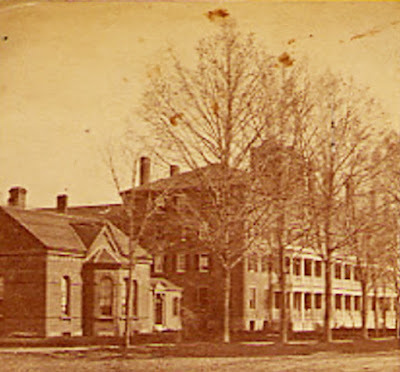 Holyoke for the 1847-1848 term. Some speculate the religious focus was too much for the poet. 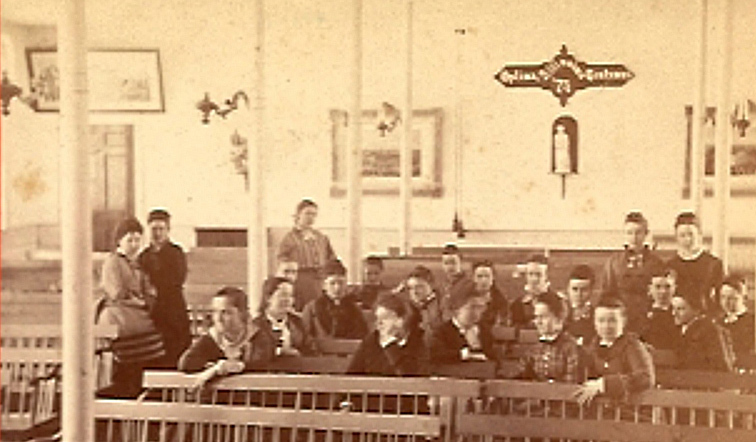 While Mary Lyons ruled religious temperament was graded: students who professed, those who hoped to, and girls without hope. Emily remained in the last group. How many other Mt. Holyoke students received an album quilt from friends? 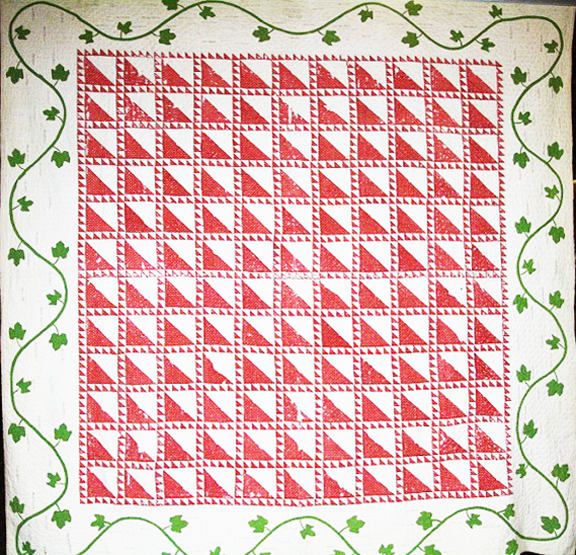 Emiline's, well documented by Lynne Z. Bassett for the Massachusetts project, is one of two in the literature right now. would have warmed Miss Lyons's heart. is the block, the smaller triangles form the sashing. A—Cut 6 dark & 6 light squares 3-7/8”. 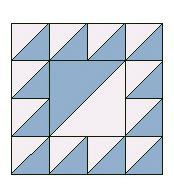 Cut each in half diagonally into 2 triangles. You need 12 light and 12 dark triangles. 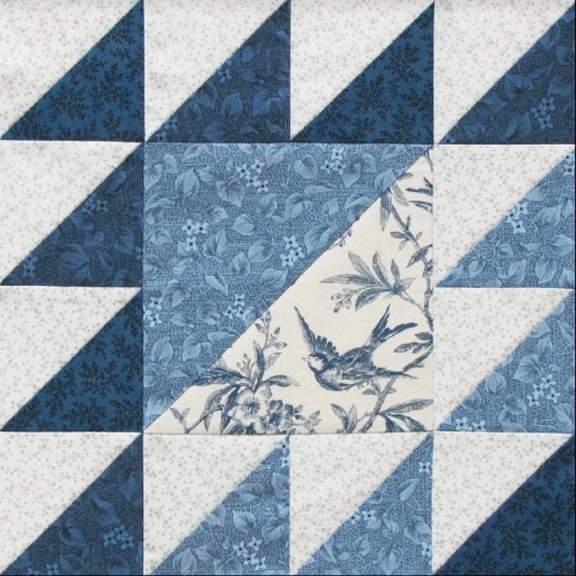 B—Cut 1 dark & 1 light square 6-7/8”. 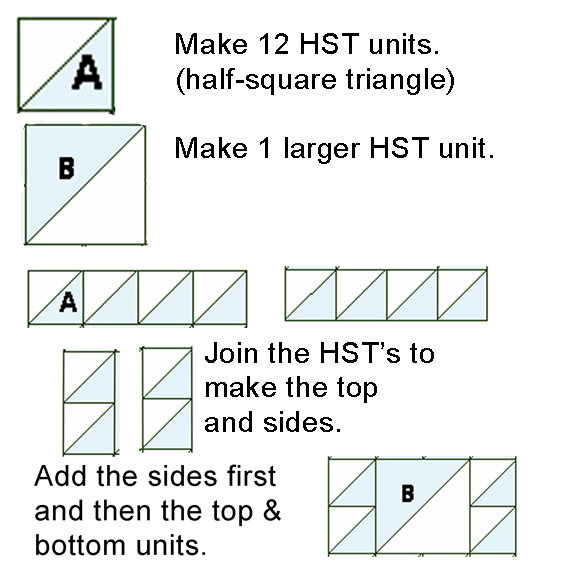 Cut each in half diagonally into 2 triangles. 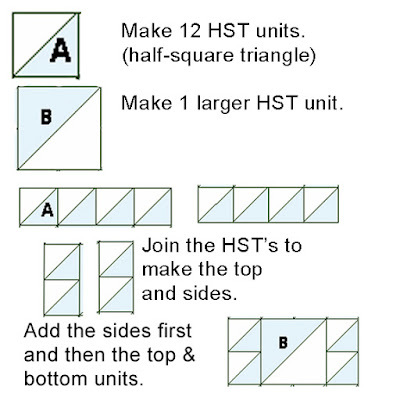 You need 1 light and 1 dark triangle. Another early version in red and white. Tracking Emiline Cross into the Civil War years reveals she married Edward Lay Tinker, about 15 years older than she in 1856. 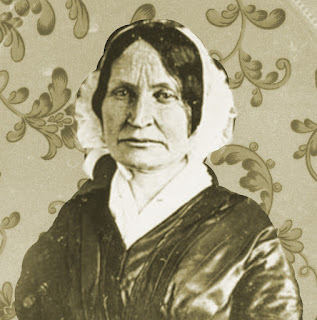 She died in 1863 leaving two boys---a five-year-old and a baby. Emiline's quilt might have survived only because she did not. It's now in the Blandford Historical Society, the town where she was born. 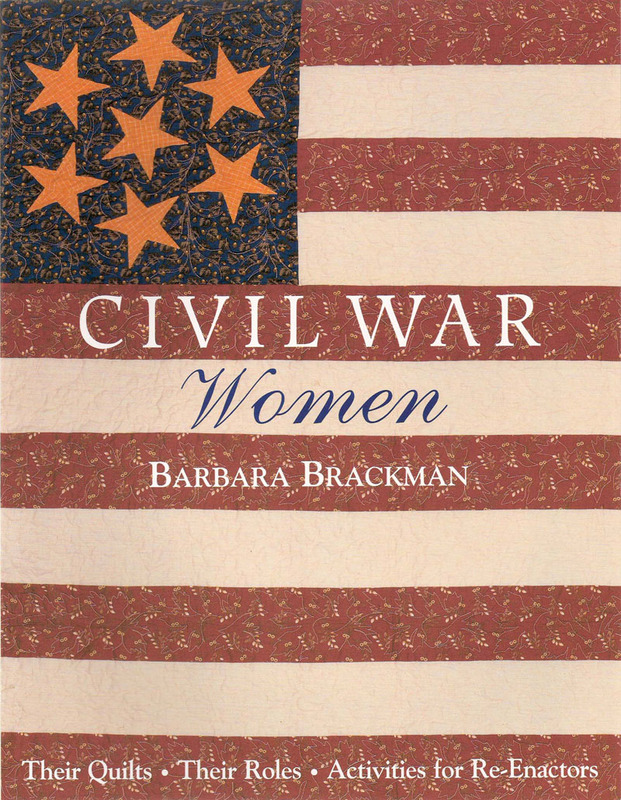 Emiline's Tennessee classmate Sarah Jane Foster's Civil War was fought far away in Persia. 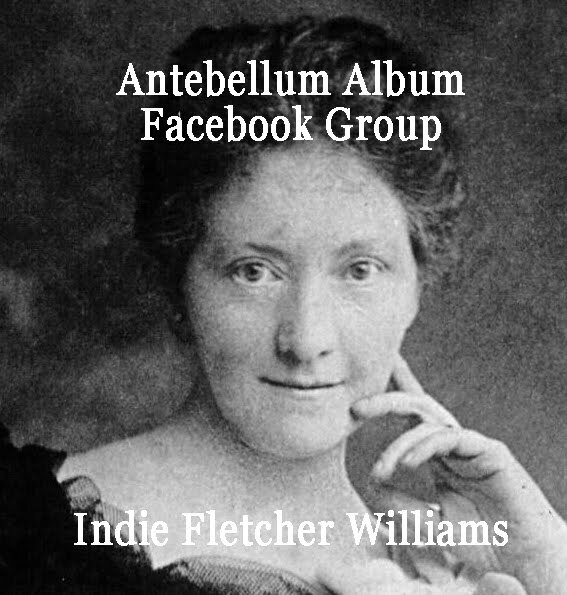 She married widowed missionary Samuel Audley Rhea in Jonesborough May, 1860. By July she was on a boat from Boston to Kurdistan. Sarah Foster Rhea in the middle east. 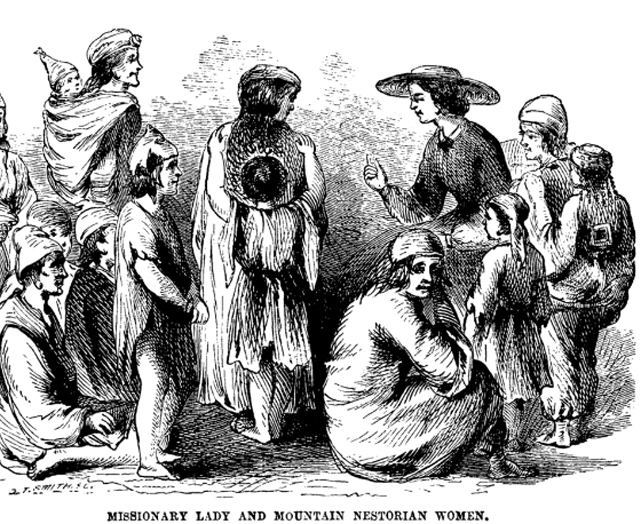 She spent the years 1860-1865 with the Kurdish people. 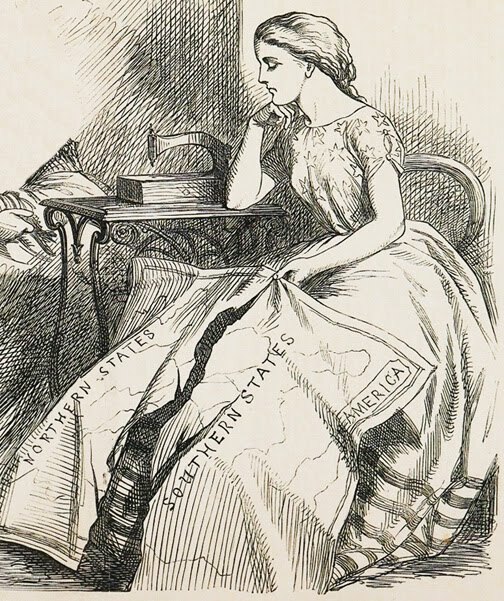 You can read her adventures in her husband's biography The Tennessean in Persia & Koordistan. 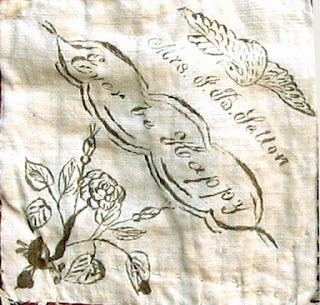 Inked sentiment from an 1854 quilt. blocks were not skillfully drawn. That's called charm. 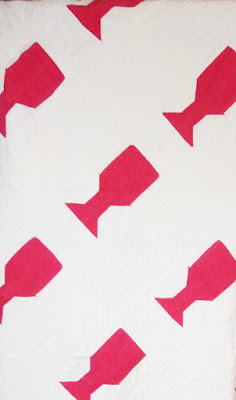 And if you blot the ink---make it part of the design. 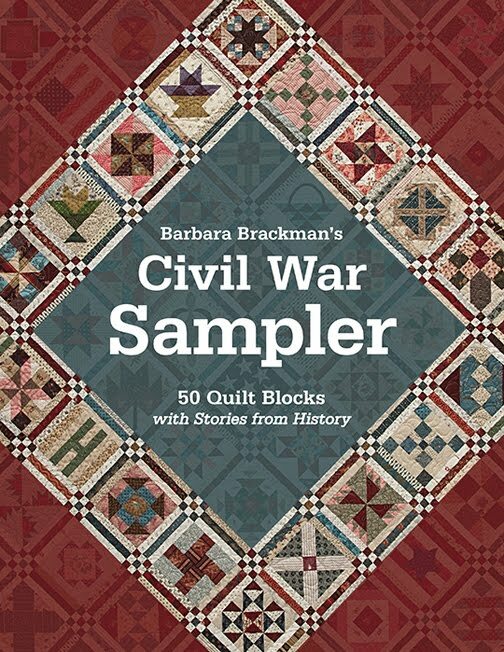 Historical Society includes several versions of this month's block. From the Connecticut Project & the Quilt Index. 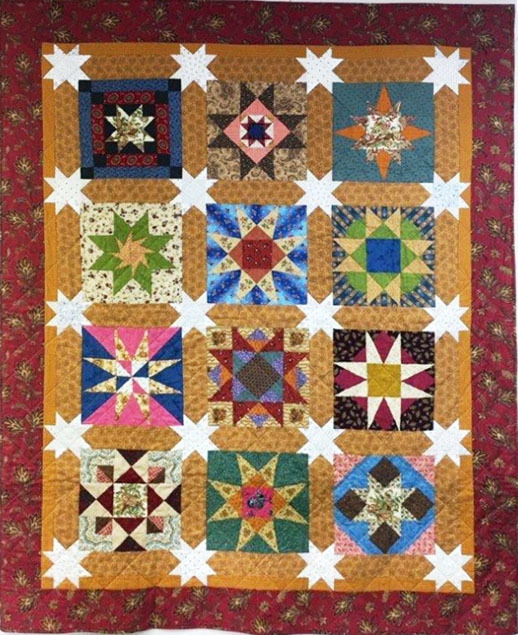 Post pictures of your blocks in our Facebook group. Ask to join and I'll let you in---or just lurk to watch the fun. 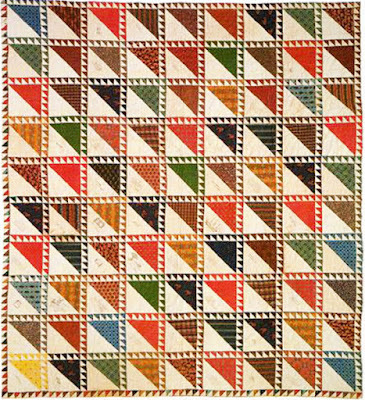 "From 1855 (circa) to 1865 (circa)"
"Mrs W. Webster Downer has donated a quilt made by slaves on the Mimosa Hall Plantation, Texas. 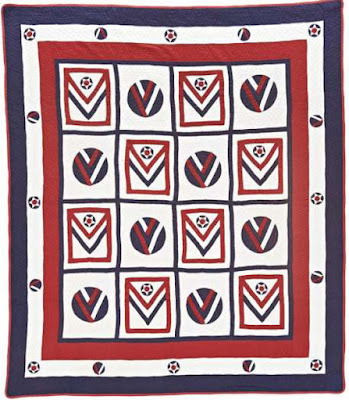 Legend has it that when the Bishop came once a year from New Orleans to confirm, baptize and marry his scattered flock, and stayed with different families on the many cotton plantations in the area, it was the custom to make a new quilt for his use on each visit." 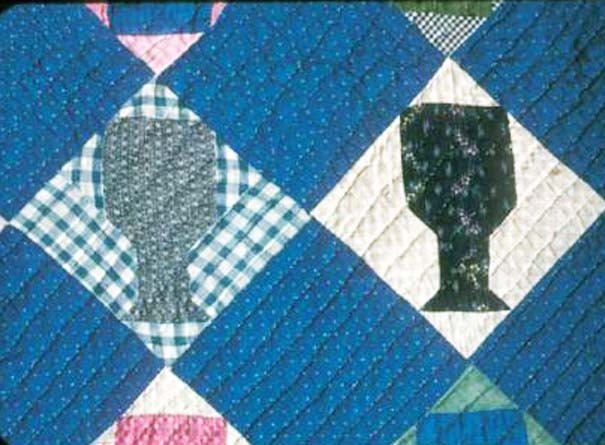 The Museum has a second quilt with a connection to the Downer family. 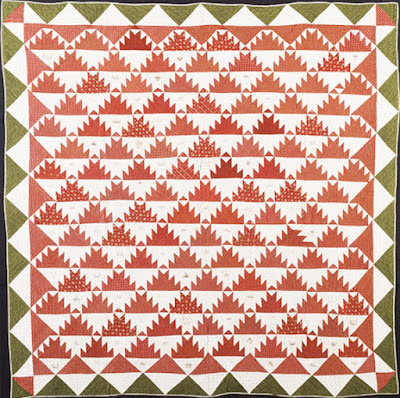 "Mary Earle Webster Downer made this quilt for her grandson during the Second World War. She lived on Mimosa Hall plantation in Marshall, Texas"
Mary Earl Webster Downer (1878-1956) was probably Marguerite's husband's grandmother. 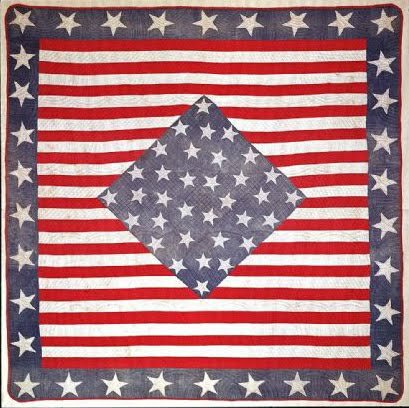 Web Downer, the soldier honored with the quilt, was an army attache in Belgrade after the War. 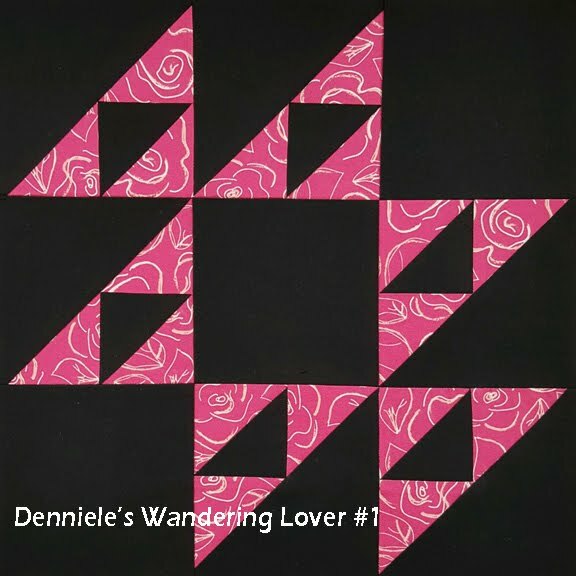 Web and Maggie Downer lived in Europe and several U.S. cities, finally settling in Carmel, California. 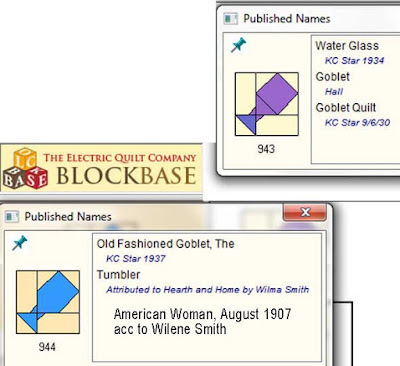 After William Webster Downer's death in 2006 he was buried in the family cemetery at Mimosa Hall in Marshall. 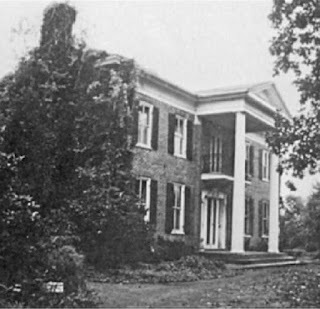 Mary Earl Webster Downer's grandfather John Johnston Webster went to East Texas from Tuscaloosa, Alabama with his family and slaves and built this mansion in the 1840s. The 1850 census lists 80 slaves at Mimosa. 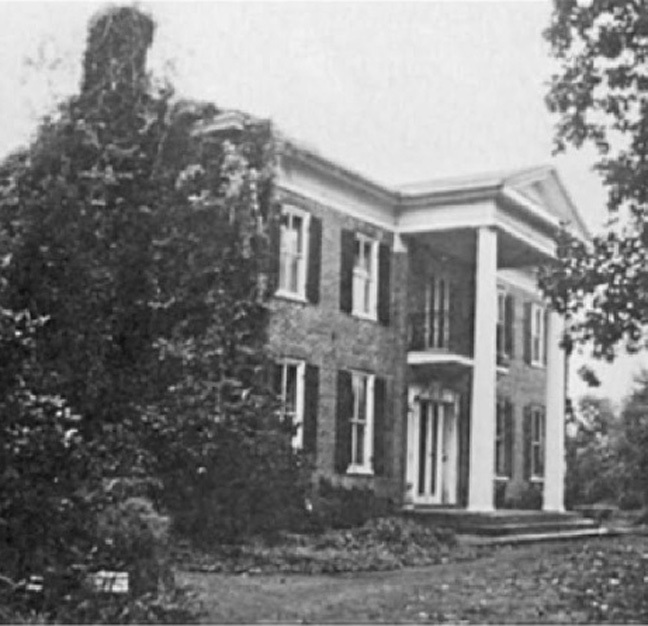 The house survives with the family burial ground on the property. 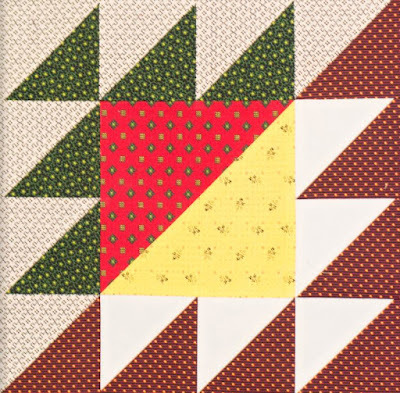 Marguerite Downer, the quilts' donor, was a Louisiana-born woman who appears to never have lived in Marshall. 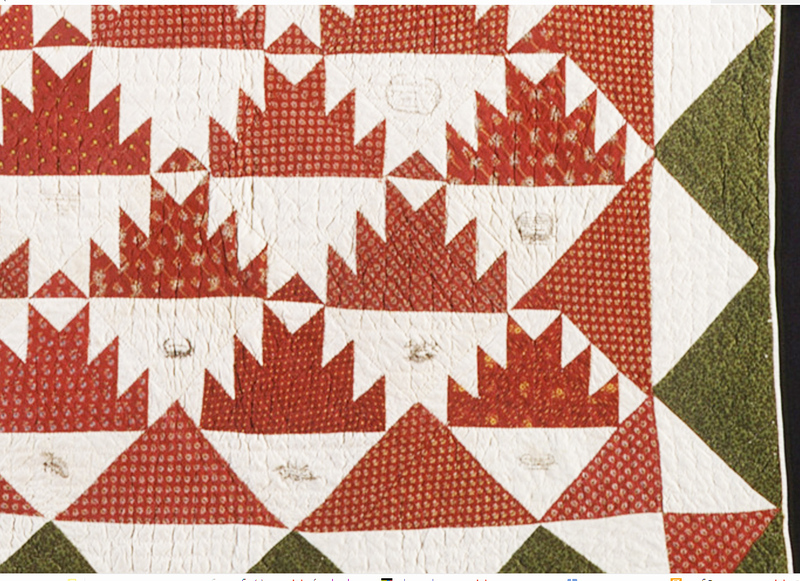 We assume she told the curators the Webster family history of the quilts as she recalled hearing about it from her in-laws. "This quilt was made by slaves on the Mimosa Hall Plantation in Marshall Texas for the use of the Anglican bishop of New Orleans. 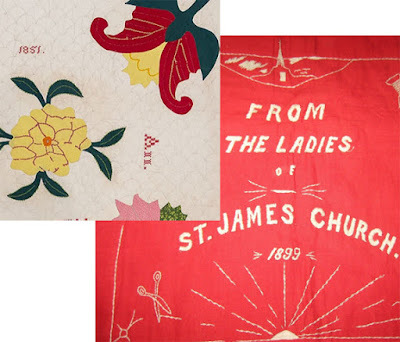 Each year the bishop would tour the region’s cotton plantations to perform baptisms and marriages. 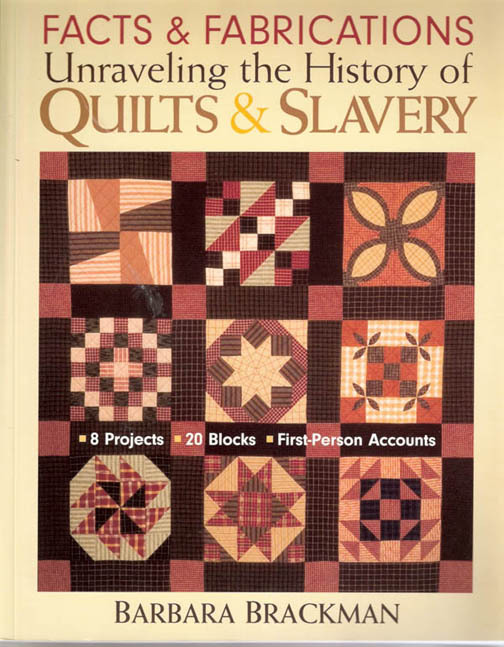 After his departure, quilts made for his visit were given over for slave use." The major flaw in this tale is that the quilt looks to have been made about 1900, many decades after Emancipation in the 1860s. 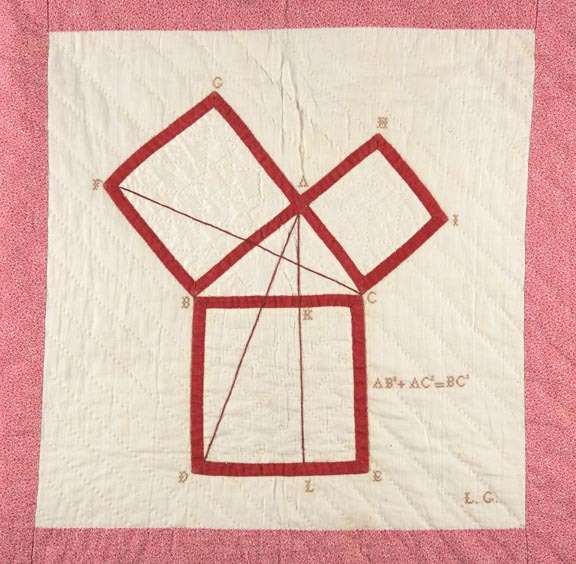 The quilt may have been made by former slaves who had lived or still lived on the property. But there is very little likelihood that this quilt was made before 1880.
photographed by Russell Lee in Marshall in 1939. 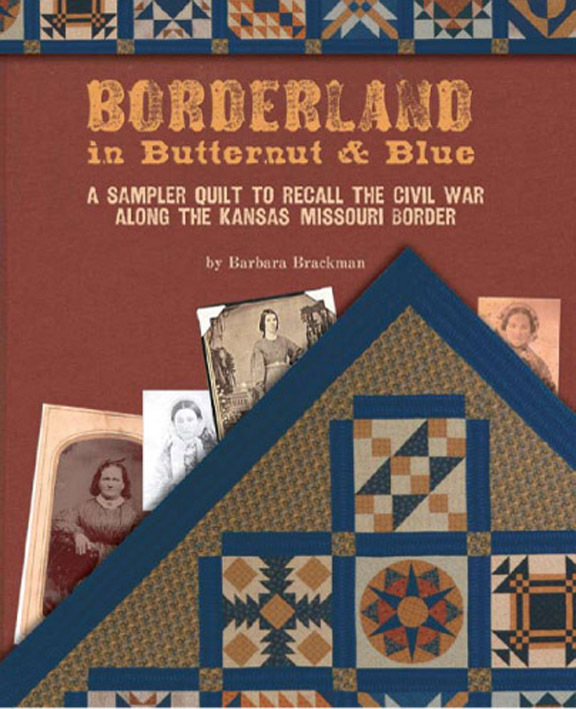 The catalog describes the quilt. 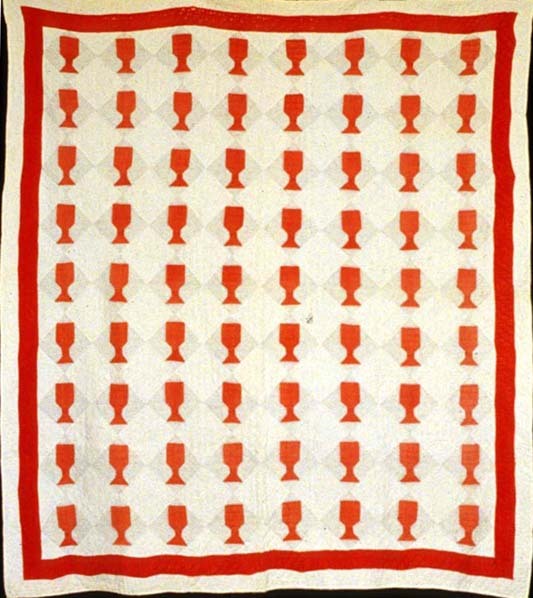 "The Chalice Quilt c.1860, Mimosa Hall Plantation, Marshall, Texas. 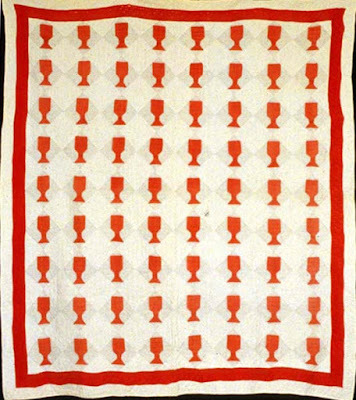 Thirty white blocks with red pieced chalice-shaped motif (... 9 in), set on point and sewn by hand, alternate with solid red squares. 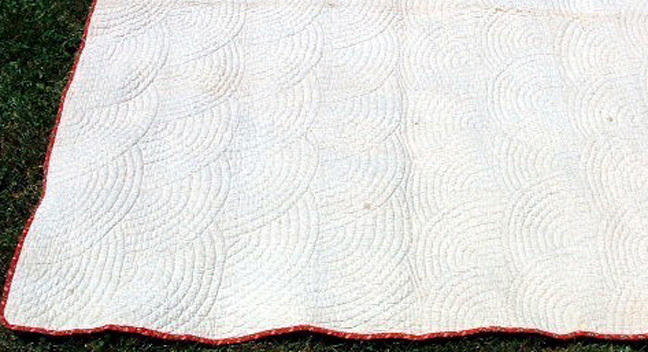 Three pieces of machine-stitched red and white striped cotton form the backing, which has been folded around the edges to bind the quilt. Semicircles, hand-quilted in white thread, decorate the entire surface." 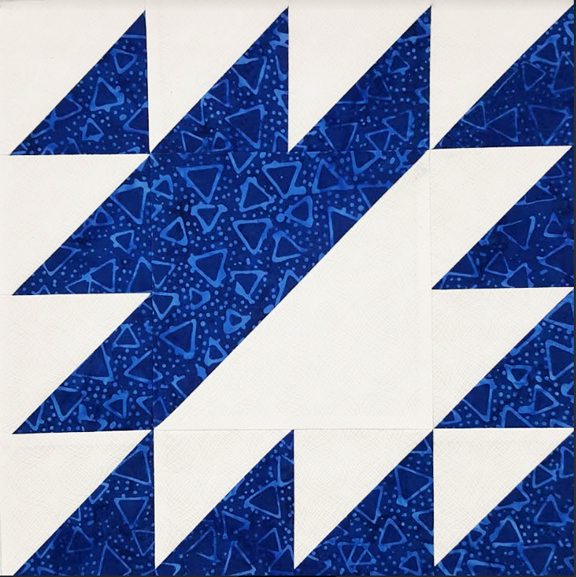 Textile historians date quilts by pattern, fabric, color style, and quilting style. 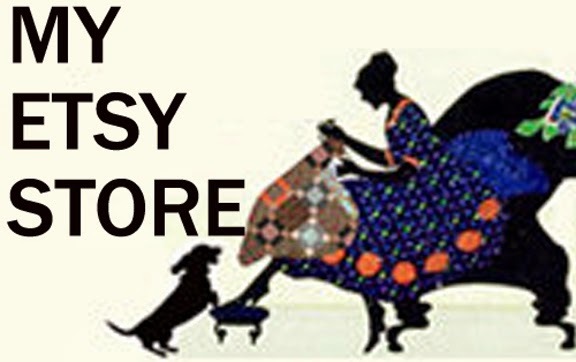 The fabrics offer little assistance in dating. 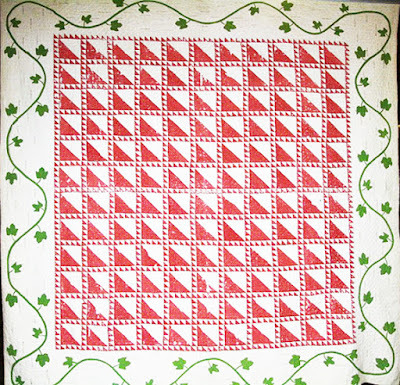 Plain red cotton presumably dyed in some form of colorfast Turkey red dyeing process and a plain white would be available in 1850 as well as 1910. The color style---Red & White Plains---is more helpful. 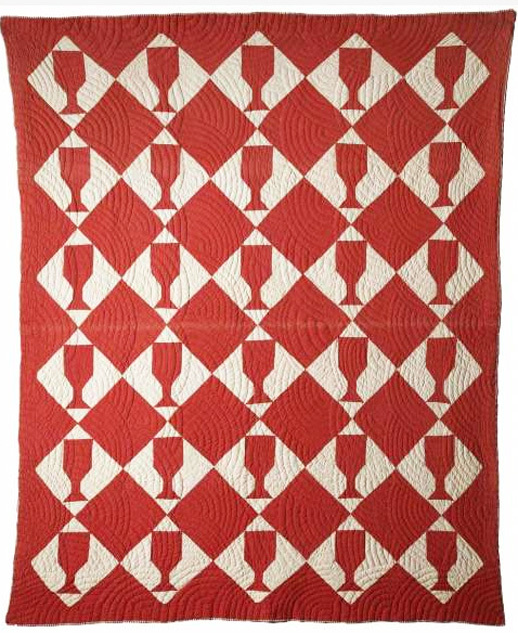 Red and white quilts tend to be from about 1880 - 1920. 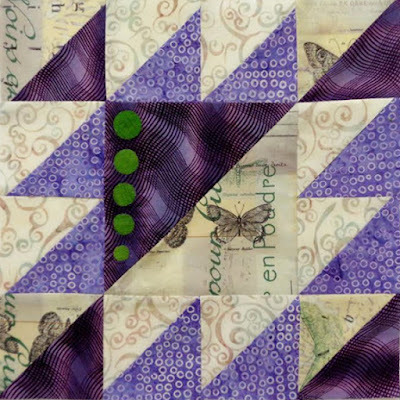 Back of a quilt quilted in the fan pattern. 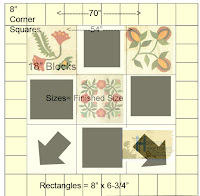 Quilting style is also helpful here. 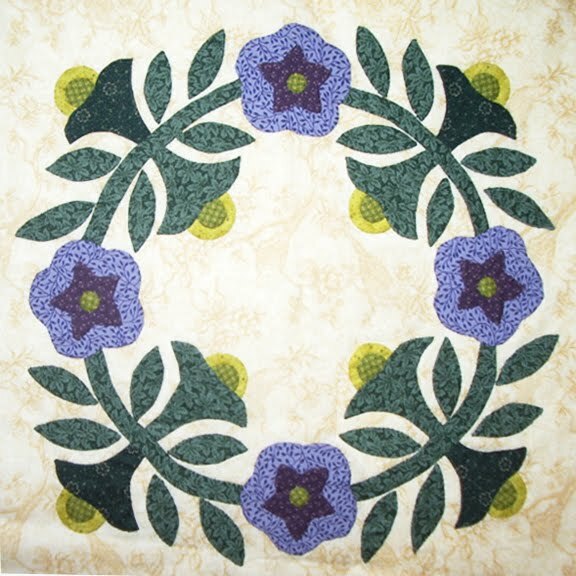 The semi-circles described are a kind of concentric quarter-circle in a shell pattern. Today we call them fans. 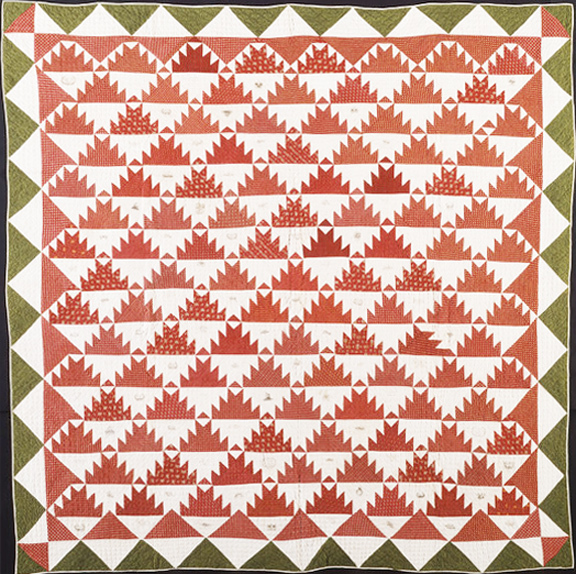 The all-over design is typical of quilts made after the Civil War, although there are a few exceptions. 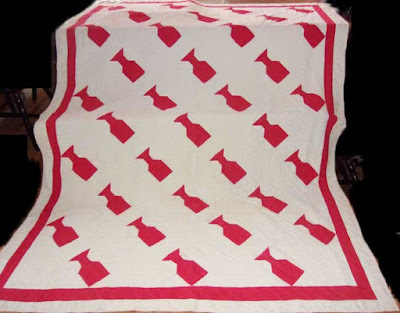 The quilt's size (75" wide by 87" long) is also a weak clue. 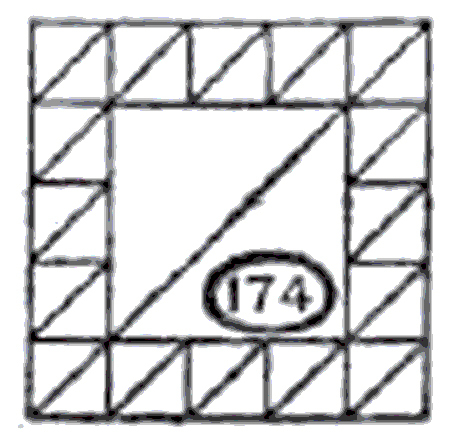 Narrow beds were common at the end of the 19th century. 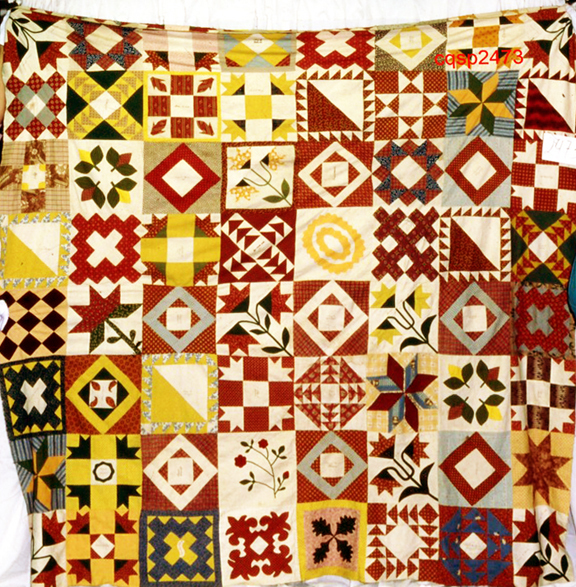 Mid-19th-century quilts are often far wider to cover larger beds. 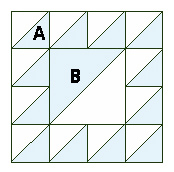 The patchwork pattern is the strongest clue. Variations on the idea of a goblet or glass tumbler were often made in the years 1890 to 1950. 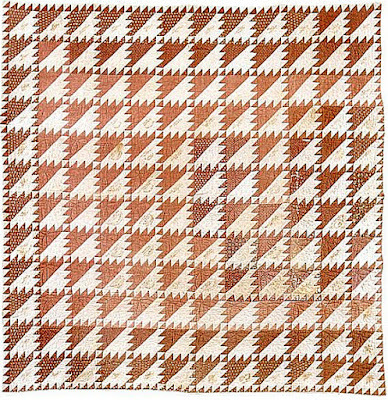 The pattern was first published as Tumbler in 1907 in the magazine American Woman, according to pattern historian Wilene Smith. 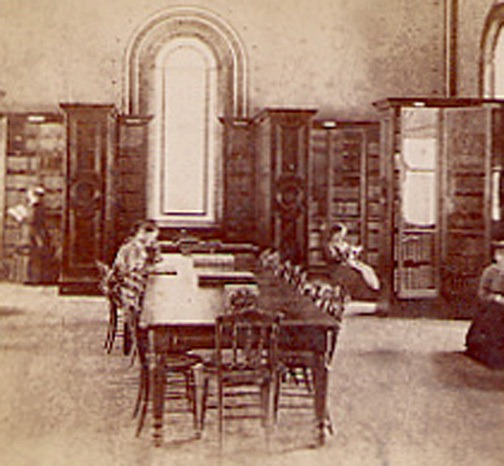 typical of the 1900-1920 years. 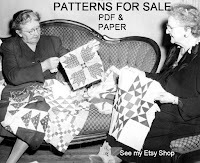 Woven checks and plaids were quite fashionable for quilts in the teens. 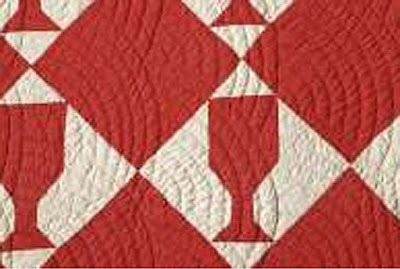 A red and white version from the Nebraska project. 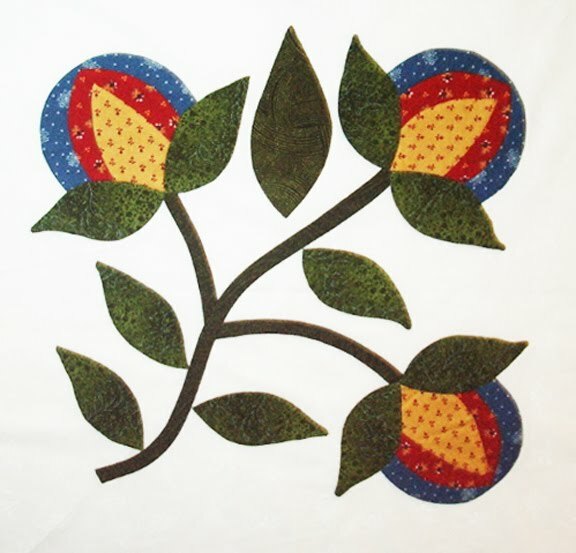 due to the unstable synthetic dyes introduced about 1880. "Red & white quilts popular 1880-1920"
One source for more information about the Websters is Mary Downer's father's journal of plantation life during slavery days. 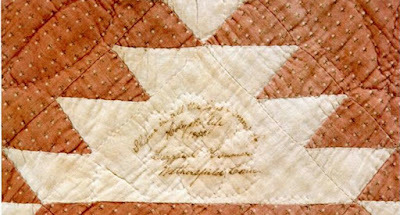 John B. Webster's Plantation Journal survives in the family collection. 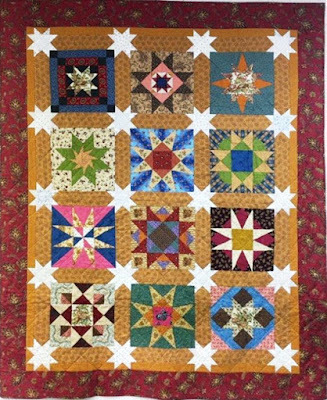 I wouldn't be so concerned about a false story except that this quilt is often used as an example of slave-made quilts with authors drawing conclusions about the genre based on an incorrectly attributed quilt. In 1983 Marguerite Linam Downer [Mrs W. Webster Downer] donated this quilt from her husband's family, the Websters, who lived at Mimosa Hall Plantation in Marshall, Texas with the family legend that it was made by African-American people connected with the family during the days of slavery. 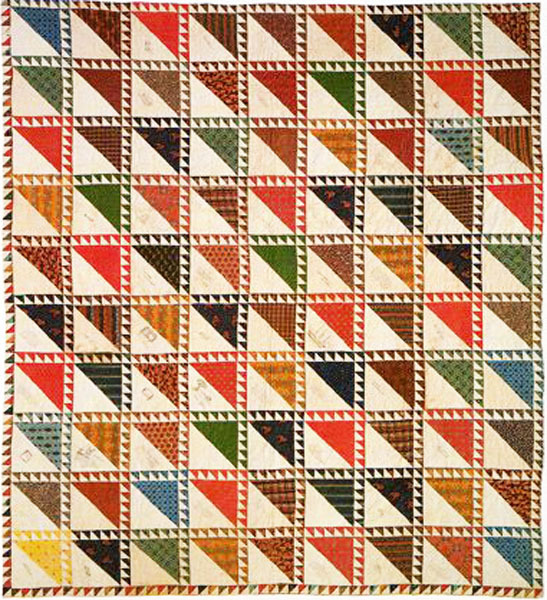 Quilt style and pattern indicate that it was made decades after slavery was abolished from a pattern first published as Tumbler in 1907, so the family tale is doubtful. For another quilt from William Webster Downer's family see the World War II quilt made by his grandmother Mary Earle Webster Downer. 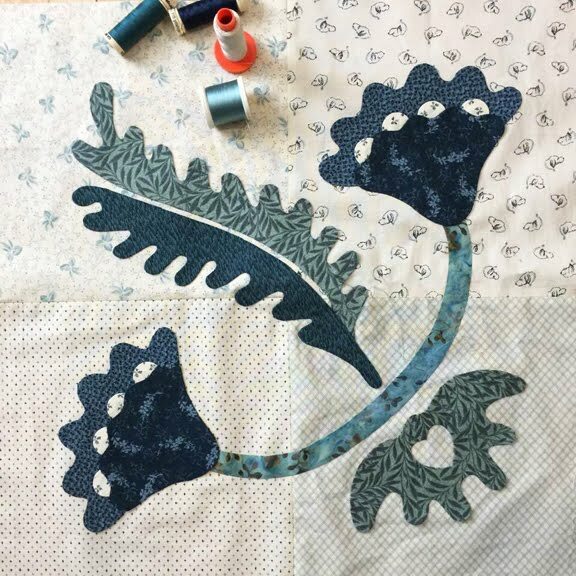 Liz at Gone to the Beach finished her Westering Women sampler from 2016. She made 16 blocks, adding to the twelve I posted here two years ago. She thinks I should do more 20th-century history, but I'm stuck right now in the 19th-century compartment in the wayback machine. 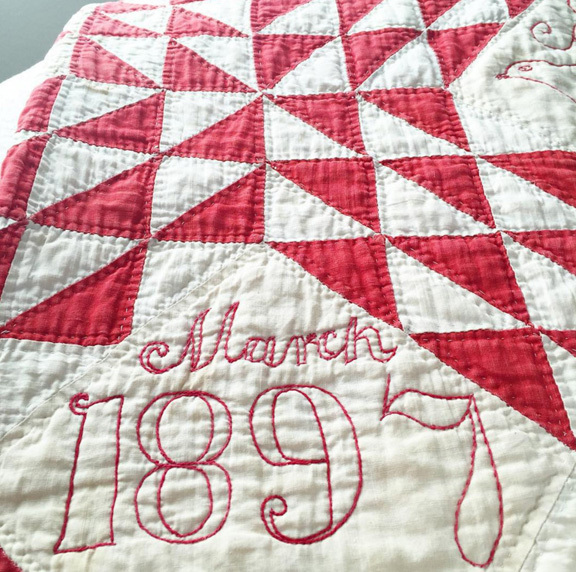 I think others should be telling their 20th-century family stories through quilts.